Walleyes are often thought of as a fish that inhabits the depths, and there are times when most of them will be found in deep water. 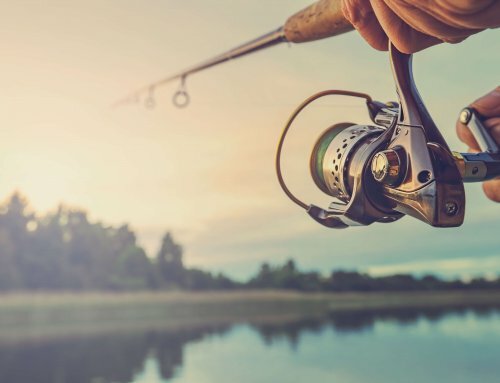 However, there are other times, more than you may think, when you can catch walleyes shallow, shallow being eight feet or less. Here are some ideas for taking walleyes in shallow water. Walleyes spawn in shallow water, water so shallow sometimes their dorsal fin will be above the surface of the water. 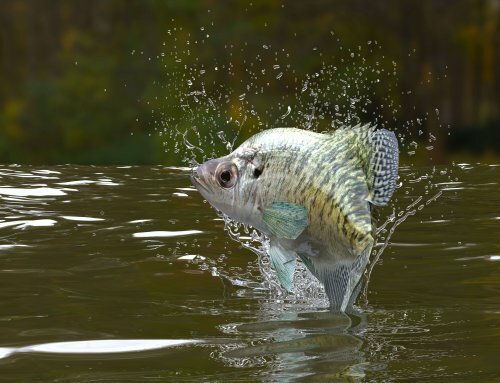 After the spawn they move into the mid-depths to recover from the rigors of spawning, or maybe they stay in the shallows and just don’t eat much. But a few days after spawning has ended, walleyes will get active in the shallows. This is when they get easy to catch. Look for shallow walleyes wherever the shiners or other baitfish are spawning. 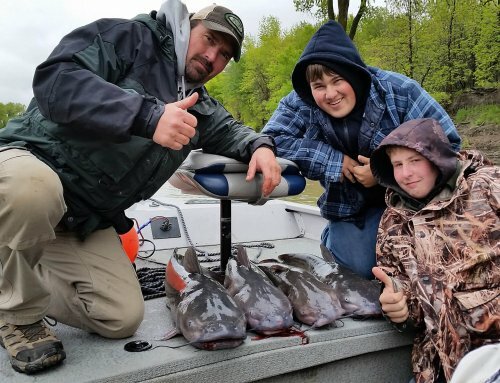 Shorelines with small rocks, areas with vegetation starting to come up, points related to shorelines, these areas will all hold shallow walleyes early in the summer, and there are lots of ways to catch’em when they’re in these locations. Crankbaits, slip-bobber rigs, live bait rigs, they’ll all catch shallow walleyes. But the folks who catch walleyes most regularly are probably throwing a jig tipped with either a minnow or plastic. When the walleyes have just recovered from the spawn, they’ll be most susceptible to a jig and minnow combination. In some bodies of water the walleyes will eat a jig tipped with a fathead minnow: In other bodies of water a shiner on the back of a jig will be far more productive. I almost always have shiners and fatheads in the boat. Shiners can be tough to keep lively, so I put them in a Frabill 1404 aerated container. This unit keeps shiners in a fish-catching attitude. I’m hooking the minnow to an eighth ounce stand-up Fire-Ball jig almost all of the time. The stand-up design of this jig enables me to pause my retrieve, but the jig stands up, remaining in full view of the fish. 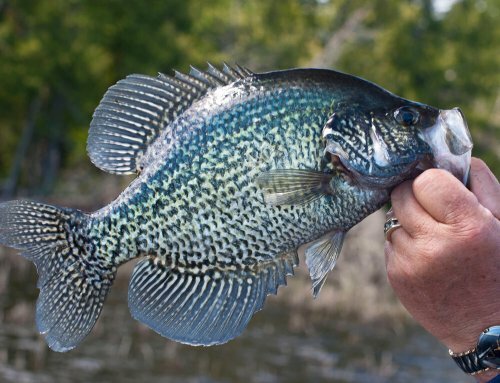 A round head jig lies flat on the bottom at rest, making it harder for the fish to see. As the water warms, the walleyes become more susceptible to a jig/plastic presentation. Where a couple of days ago we were crawling the jig/minnow along the bottom, with the plastic we’ll be snapping it pretty aggressively. Walleyes in warmer water will eagerly whack a jig/plastic combo that is moving quickly along the bottom. Many of the strikes will come as the jig is gliding back to the bottom after it has been snapped. A Rock-It jig tipped with something like an Impulse Paddle Minnow is tough to beat. Fish the jig/plastic with eight or ten pound test Bionic Walleye Braid. The braid works better with the snapping retrieve. Fish the jig/minnow on six, seven, or eight-pound test Bionic Walleye monofilament. 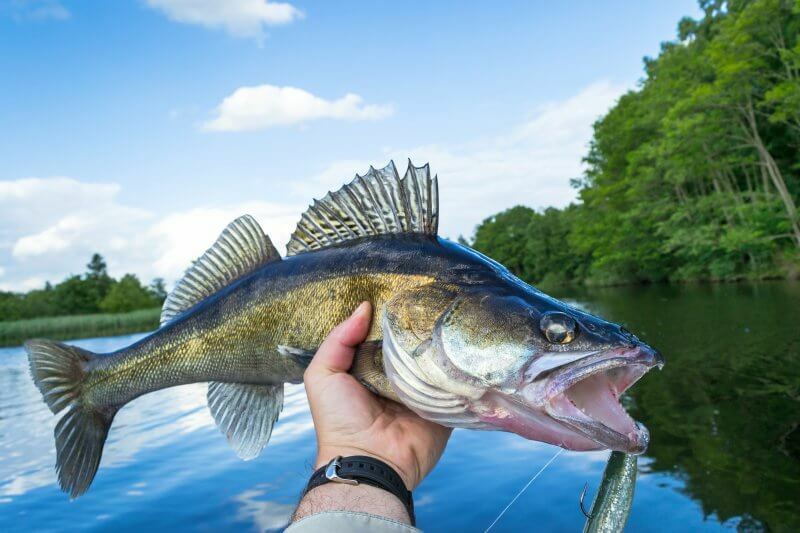 Walleyes can be found in shallow water year ’round in most lakes, rivers, and reservoirs wherever walleyes swim, but you should look for them in the shallows especially in late spring and early summer. Make long casts, keep a low profile, and be quiet. 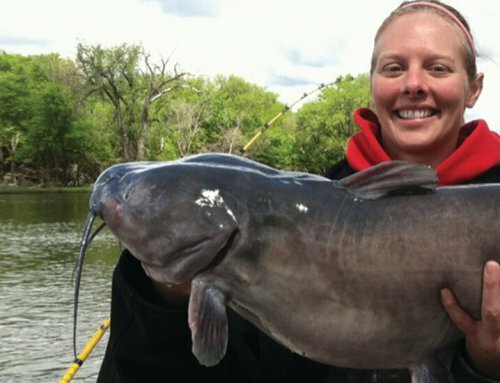 If you do these things, you’ll find yourself catching walleyes shallower than you might have imagined.